With Patriots training camp approaching on July 26th, there are many different players on this team from last year. 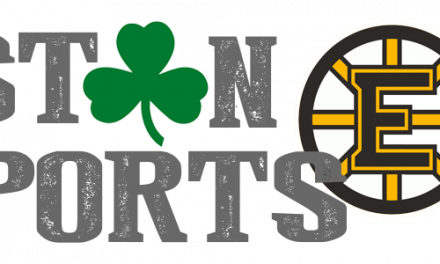 The Pats acquired four guys from trade, fifteen from free agency, and nine from the NFL Draft. They also lost nine players from trade and free agency and had three players retire. In this new series, I will be looking at every player from each position leading up to training camp. For this part of the series I will talk about the most important position on the field: Quarterback. Quarterback has been the most consistent position for the Patriots since 2001. 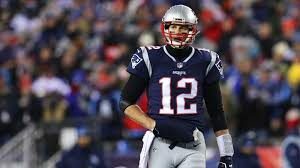 Ever since Tom Brady got his first start in 2001, the Patriots had only had four Quarterbacks start for them (Bledsoe, Cassel, Garoppolo, Brissett). The Patriots are bringing in three QB’s to training camp this year. Tom Brady is entering his 19th season for the Patriots where he has had a very successful career. He is a 5-time Super Bowl Winner, 3-time NFL MVP, 4-time Super Bowl MVP, and 13-time Pro-Bowler. Brady for his entire career has had 66,159 pass yards, 488 TD, 160 INT, and a record of 196-55-0. One of Tom’s MVP’s seasons came last year where he amassed 4,577 pass yards, 32 TD, and 8 INT. He led the Patriots all the way to the Super Bowl where the ultimately came up short to the Eagles. Tom has been one of the main reasons as to why the Patriots are consistently in the Super Bowl. Brady, who will be 41 at the start of the season, has shown no signs of slowing down yet. Expectations for him are still very high. 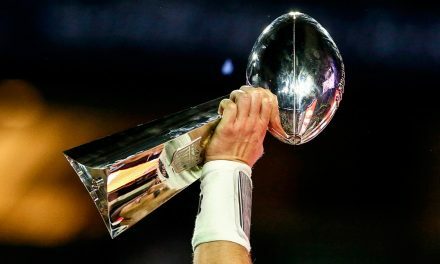 Every year, it is expected that the Patriots will win a Super Bowl and it is expected that Brady will lead them there. The verdict is that Tom Brady will 100% be on the Patriots 2018 roster. 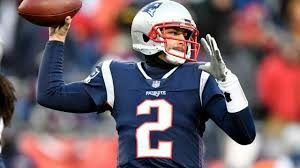 Brian Hoyer was the Patriots backup QB for the last half of the 2017-2018 season. He began his season in San Francisco where he started six games. Hoyer went 0-6 in those six games and had a stat line of 1,287 pass yards, 5 total touchdowns, and 4 INTs. He ended up getting released by the 49ers after San Francisco traded for former Pat’s QB Jimmy Garappolo. After getting released by the 49ers, the Patriots signed him for the rest of the season due to only having one QB on the roster. This would be the second stint in New England after being drafted by the team in 2009. Hoyer was part of the 2011 Patriots that went on to win the AFC Championship. 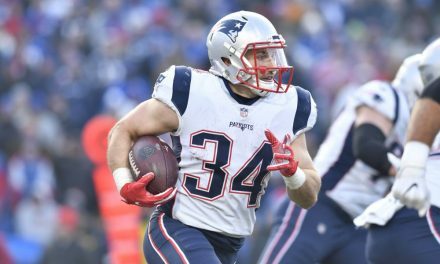 Brian has only appeared in eighteen games in his four years with New England with him, and a stat line of 328 pass yards, 1 touchdown, and 1 INT. Once he left the Pats in 2011, he had a very solid few seasons in Cleveland. In his first year for the Browns, he started three games and went 3-0 with 615 pass yards, 5 TD, and 3 INT. He then started 13 games for Cleveland where he had a record of 7-6 and 3,326 pass yards 12 TD, and 13 INT. His next season would come in Houston under his former offensive coordinator, Bill O’Brien. He had his best statistical season where he had a record of 5-4, 2,606 pass yards, 19 pass TD, and 7 INT. This would be his last season in Houston though. He then had an uneventful season in Chicago and then went to San Francisco. Brian Hoyer is a very solid option as a backup quarterback to Tom Brady. He has been in the league for a long time and has some quality experience as a starter. Overall, Hoyer will most likely be the backup to Tom Brady for the upcoming season. 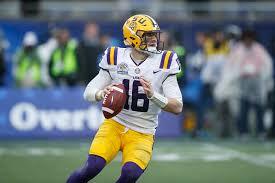 With the 219th pick in the NFL Draft, the New England Patriots select Danny Etling, QB, LSU. 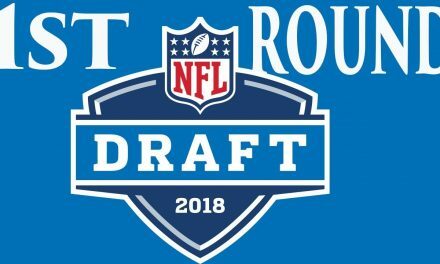 With all the rumors going around about the Patriots selecting a quarterback early to be the predecessor to Brady, they waited all the way until the seventh round. Etling was kind of a surprise pick with him not being rated higher than a lot of undrafted QBs. Etling started his college career at Purdue where he appeared in thirteen games over the span of two seasons. In those thirteen games, he had 2,490 pass yards, 16 pass TD, and 12 INT. He would then transfer to LSU where he played two seasons. Over those two seasons, he played 24 games and had 4,586 pass yards, 27 pass TD, and 7 INT. His senior season at LSU was his best season in college. He appeared in thirteen games and threw for 2,463 pass yards 16 pass TD, and 2 INT. Danny Etling, 23, will most likely be a project for the Patriots. He will not be a quality backup right away, but he has potential. I believe the Patriots will keep Etling on the practice squad on the upcoming season to learn from Brady and Hoyer. The position of quarterback for the Patriots has always been the most consistent since Brady took over, and not much looks to change this year.